George Frederick Munford was born in Crewkerne, Somerset, in 1847, the son of plumber, glazier and painter James Munford and his wife Eliza. In the 1851 census George was listed with his parents and six siblings at South Street, Crewkerne. By the time of the 1861 census 14-year old George, still living at home, was listed as a printer's apprentice. In fact George was apprenticed to GPR Pulman, the founder and then proprietor of "Pulman's Weekly News" and the author of several books, including the "Book of the Axe". Pulman encouraged George's interest in rural life, particularly in regard to old legends and customs. Many of his interesting articles were published and finally brought out in book form under the title of "Ghosts and Legends of South Somerset". In 1871, while still living at home with his parents in Crewkerne, George listed his occupation as a printer. In the summer of 1873 George married Julia Bishop at Exeter. 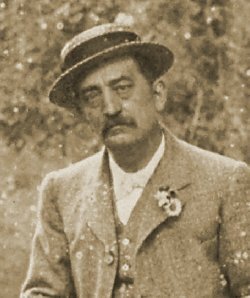 They were to have one daughter, Edith Jane, who sadly died at the age of 28 in 1900. When "Pulman's Weekly News" was acquired by Charles Clinker and Charles Tite, the then proprietors of the "Western Gazette", George severed his connection with it and became part proprietor, with James Wheatley of Crewkerne, of the "Somerset County Mail and East Devon Express". In 1884 he joined the head office of the "Western Gazette" and "Pulman's Weekly News" where after serving as a reporter and a sub-editor, he was appointed editor in 1894. The 1891 census listed George and his family plus a domestic servant living at 7 Wyndham Street. George listed his occupation as journalist. His daughter Edith died in 1900 and by 1901 George and Julia, together with a servant, were living at 3 South Western Terrace. George, by now aged 52, listed his occupation as newspaper editor. Their return in the 1911 census was similar except by this time George and Julia were living at 33 Hendford Hill. Julia died early in 1916 in Yeovil, aged 69. In 1919 George was listed in Kelly's Directory as living in York Cottage, in Kingston. Towards the end of December 1922 George retired, having spent 28 years as editor of the "Western Gazette". Sadly he died just one week later at his home, York Cottage, on 6 January 1923. His estate amounted to £2,236 (about £400,000 at today's value). 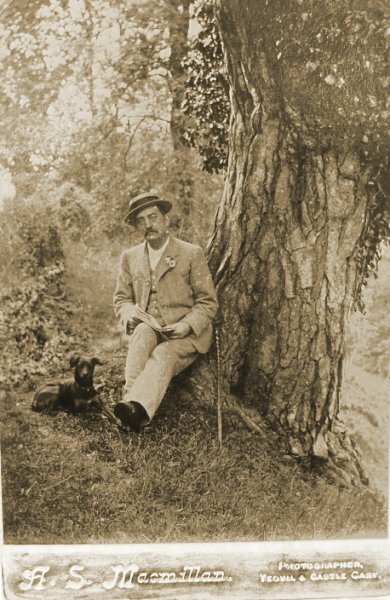 A photograph of George Munford, probably dating to the 1890s.